Nothing gets your taste buds tingling like the sizzle of Fajitas. Tender strips of BBQ beef or chicken seasoned with a smoky blend of spices, crunchy capsicum, onion and a squeeze of lime juice, all wrapped up in our soft flour Tortillas. 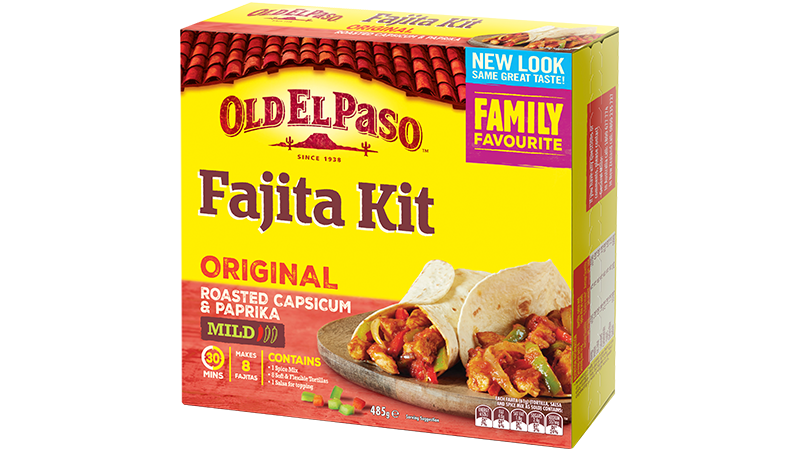 Each Fajita Kit contains 8 flour Tortillas, Fajita Spice Mix and Mild Mexican Salsa so you can #MakeItYourWay and share the fun and spirit of Mexico with every bite!